It’s football, basketball and other sports and recreation season! While plenty of people get excited about the fun and games that fall and winter bring, it’s not always the most fun or safest time for your pet. Loud noise, chaos from house guests, new smells and people, and other activity can be exciting – or terrifying –for your pet. There’s also a risk that your furry loved one might be accidentally let out of the house or yard, frightened, or in some cases, injured, during the festivities. Know your pet. Nobody knows your pet’s unique personality more than you do. Give some thought to how he or she might react to guests and activities. If your pooch is a bit shyer, or scares easily, a cozy, comfortable and quiet space like your bedroom may be better than being caught in the mix of guests and commotion. Include his or her bed, favorite toy, and food and water to make sure he or she is comfortable and cared for. If your pet loves the activity, by all means include him or her! Just be sure that there isn’t a chance for escape, exposure to food or other items that might cause injury, etc. Inform guests. As your guests arrive, let them know that you have a pet and what its needs might be. This can include that table scraps are off limits, doors need to be kept shut, or other instructions to ensure your pet’s safety and care. If children are going to be in attendance, including those your pet has not met, have a plan in place to make sure both kids and your pet are kept safe, including letting the children know what is and isn’t acceptable such as pulling on ears and tails, or other specifics. Have a plan. Whether your pet likes to be the star of the crowd, or prefers a space alone to chill out, have a plan in place for his or her care throughout your party or event. This includes routine checking in to make sure he or she has enough food and water, give a cuddle or two, and bathroom breaks. If your pet is shy or scares easily, be sure to think through how you can take it outdoors to relieve itself without frightening it among other guests. This can include putting a leash on before taking it outdoors, or using a different exit away from main areas. While many people think pets are content outdoors or in the garage while activities are taking place in the house, this can actually cause your animal a lot of stress and upset. Dogs are naturally social beings and get anxious or afraid if they’re unable to engage or process an environment around them, even if it’s a bit of a distance away. It can also be dangerous to keep a pet in the garage or outdoors for long periods of time, especially in cold weather. Being left alone and unattended can lead to injury, escape, and in some cases, pet abduction. A bedroom, office, laundry room or other indoor area is a better bet. If you enjoyed this post, you should read “Hotel Etiquette With A Pup ” here. 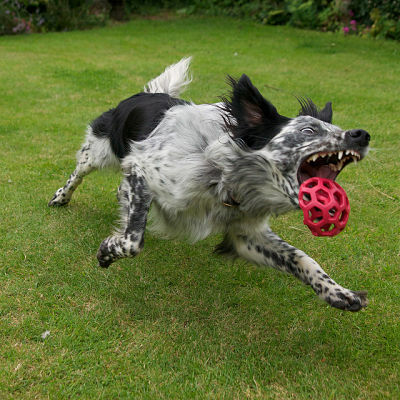 Do you have any sporting advice for dog owners? Share below!